Donald Trump is claiming tonight that the Mueller report has exonerated him, even after Trump’s handpicked puppet William Barr was forced to specifically admit that the report was unable to exonerate him. Trump’s fans are dancing in the streets because they think they’ve won, but these are the same people who declare victory every time Trump tweets or grunts. Back in the real world, the question is whether this was a good day for Team Trump or not. 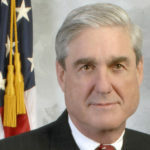 Sure, if you’re in the Resistance, today was a disaster for you – if you think Robert Mueller such a complete idiot that he didn’t foresee Barr doing exactly what we all knew he might do, and that Mueller didn’t bother to come up with any sort of workaround. If you’re in the Resistance, today was a calamity for you – if you think Nancy Pelosi and the House Democrats are too incompetent and stupid to use their majority status and subpoena power to work around Barr’s stunt today. So do you think Mueller is a hapless idiot? He’s the guy who managed to take down John Gotti and the leaders of Enron, all of whom were more creative than Donald Trump and William Barr. Do you think Mueller just kept getting lucky throughout his career? Do you think Mueller is such a lazy simpleton that he never came up with a Plan B for if he submitted his report, and Team Trump tried to lie about what it said? Do you really think Nancy Pelosi is a stooge? Do you think she keeps getting the better of Donald Trump for no particular reason? Come on now, we all know better. You should be outraged by what transpired today. Donald Trump and William Barr conspired to try to mislead the public about the crimes and scandals that a duly appointed Special Counsel uncovered about Trump and his campaign. But unless you think Mueller and Pelosi have no idea what they’re doing, today’s Barr stunt won’t get Trump anywhere. Give them a few days to see what they’ve each had up their sleeves all along, in preparation for just this scenario.